Fighting out of Coconut Creek, Florida, United States, Dustin “The Diamond” Poirier, 30, is the new interim UFC Lightweight Champion. He was one of the winners at “UFC 236,” which marked his 16th victory in Ultimate Fighting Championship. Featuring 13 MMA matches, “UFC 236” took place at the State Farm Arena in Atlanta, Georgia, USA on April 13, 2019. 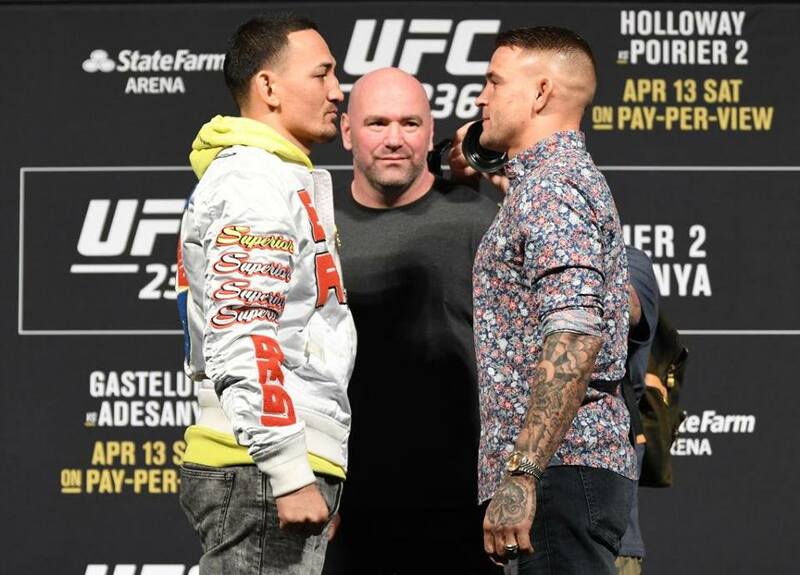 In the main event of the evening, Poirier and Max “Blessed” Holloway, 27, of Waianae, Hawaii, USA competed for the interim UFC Lightweight Championship title. It was a rematch between Holloway and Poirier. Blake Grice served as the referee. After five five-minute rounds, the bout was left in the hands of the judges namely Sal D’Amato, Mike Bell and Derek Cleary. In the end, Grice raised the hand of Poirier, who was declared the winner via unanimous decision. D’Amato, Bell and Cleary unanimously scored the bout 46-49 in favor of Poirier. It was the seventh unanimous decision victory of the evening. Winning at “UFC 236” improved Poirier’s professional MMA record to 25 wins, 5 losses and 1 No Contest. On the other hand, Holloway now has 20 wins and 4 losses. Poirier was born in Lafayette, Louisiana, USA on January 19, 1989. He is training out of American Top Team in Coconut Creek. As an MMA fighter, Poirier has been competing professionally since 2009 and he joined the UFC in 2011. “UFC 236” marked his 20th bout in the promotion excluding his two “The Ultimate Fighter” bouts. The first encounter between Poirier and Holloway took place at the Mandalay Bay Events Center in Las Vegas, Nevada, USA on February 4, 2012 at “UFC 143.” The former submitted the latter via mounted triangle armbar. Including Holloway, Poirier defeated 14 opponents inside the UFC octagon. From 2011 to 2013, he defeated Josh “The Fluke” Grispi, 30, of Rockland, Massachusetts, USA, Jason “Shotgun” Young, 32, of South East London, England, Pablo “The Scarecrow” Garza, 35, of Fargo, North Dakota, USA, Erik “New Breed” Koch, 30, of Milwaukee, Wisconsin, USA and Diego “DB” Brandão, 31, of San Antonio, Texas, USA. In 2015, Poirier defeated Carlos Diego Ferreira, 34, of Pharr, Texas and Yancy “The Kid” Medeiros, 31, of Makaha, Hawaii. From 2016 to 2018, Poirier beat Joseph “Irish Joe” Duffy, 31, of Donegal, Ireland, Bobby “King” Green, 32, of Fontana, California, USA, Jim “A10” Miller, 35, of Sparta Township, New Jersey, USA, Anthony “Showtime” Pettis, 32, of Milwaukee, Justin “The Highlight” Gaethje, 30, of Arvada, Colorado, USA and Eddie “The Underground King” Alvarez, 35,of Philadelphia, Pennsylvania, USA.